Home > Monetization News > Start Your Recommendation Engines! The fundamental goal of any e-commerce website is to get visitors to convert. But how do you make your voice heard over the clamor of aggressive marketers, who are too busy to consider what their users actually want? Web users have a very low tolerance for unsolicited ads disrupting their browsing experience, so your offers need to be highly relevant and presented at just the right time. Over the last decade, major e-tailers have employed the use of recommendation engines to increase customer engagement and drive sales. Simply put, a recommendation engine is an algorithm that intelligently matches customers with the products or services they may like. The more time a user spends on a website, the more information they (knowingly and unknowingly) reveal about their personal preferences. Product discovery is as integral to the shopping experience as organic search. A recent study showed that 62% of online customers who notice recommended items end up purchasing them. Just as Santa knows whether we’ve been naughty or nice, a company that employs a recommendation engine has a fairly accurate portrait of its customers. I say “fairly” because while the technology is sound (built-in algorithms analyze user and page context, providing personalized, real-time recommendations), it’s not airtight. In the past, I’ve been offered special deals on trombone cases, and I don’t even play trombone! Clearly there’s room for improvement, but for the most part, the recommendation system works. Recommendation engines come in two flavors: collaborative filtering and content-based filtering. The first method compares an individual user’s profile (i.e., behavior, activities, or preferences) to that of a large group of users, in order to predict what the individual will like. It can do this to a high level of accuracy without having to “understand” the recommended item itself. The second method requires both a keyword description of the item and a user profile. Only then can it suggest new items with similar qualities. Often, the two methods are combined to produce one unstoppable recommendation force. Amazon’s algorithms take into account a user’s purchase history, which items they’ve identified as potential purchases, items they've liked and rated, and what’s popular with other customers. Besides the machine aspect, Amazon understands that email campaigns are one of the most effective personalization techniques around. As such, it employs a team of recommendation specialists to target users by email. This manual component relies on the employee’s intellectual and emotional input, as well as a variety of software tools designed to gauge users’ browsing and purchasing behavior. What types of businesses use recommendation engines? Retail giant Amazon is often credited with bringing targeted recommendations to the digital marketplace. In recent years, its sales have grown significantly, and it owes much of that success to the humble recommendation engine. Jinni, a self-proclaimed “taste engine”, is a movie recommendation engine with a difference. It uses semantic search, a technique that analyzes searcher intent as well as the contextual meaning of terms. Users can enter weirdly specific queries, such as “films that show Chris Farley yelling”, and get back surprisingly relevant results. Jinni’s Entertainment Genome, as it’s known, combines the uniquely human perspective of its army of movie buffs with the deep content analysis that only a recommendation engine is capable of. These marvels of modern marketing have proven successful in non-consumer-facing roles, too. Insurance and finance companies use them to suggest coverage plans and investment opportunities, while B2B companies use them to recommend prospects and strategies to their salespeople. What’s the big deal about recommendation relevancy? Depending on how accurate the recommendations are, the service can be a real asset to all concerned. Users get a fully customized browsing experience that’s conducive to discovering interesting content or items they might otherwise be unaware of. And for every customer that converts, ch-ching go the company’s cash registers! What’s more, relevant recommendations are said to significantly increase the average order value of each transaction. What does the future hold for targeted recommendations? It’s conceivable that in the future, recommendation engines will have applications beyond the examples mentioned in this blog. Education, for example. If a website detects that a visitor is interested in learning about a particular subject, such as cubism, a recommendation engine could, theoretically, point them to content related to that art movement. This would help people develop their taste without needing to know a shred of industry jargon. And that, my friends, is true user value. As a leader in the field in content and search monetization, we at CodeFuel know a thing or two about user engagement & earning from targeted traffic. We have combined our decades of experience and poured them into this blog, just for you. This blog aims to inform, entertain and inspire, and perhaps most importantly, to surge your business forward. Always feel free to comment, share and get in touch – also let us know if you want to hear more about something in particular. 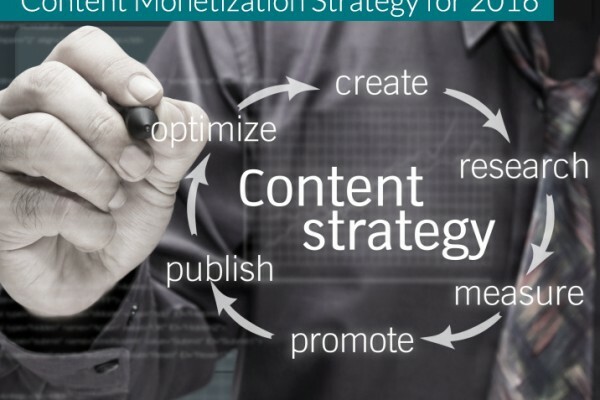 Previous post Monetization 101 Next post Localization: If It Makes Sense, It Makes Cents!